The creativity here was for interactive banners that have a level of "personalization/customization" in them to help communicate the Park Hyatt theme of "Luxury is personal." Created a mock-up for the 300x250 unit. The objective for this static mock-up was to position the brand as the preferred luxury and market leader. Also, increase the brand awareness, focusing on the brands posting of "Luxury is Personal to drive incremental revenue and leverage Park Hyatt Assets of Culinary, Art, and Design, and bespoke experiences. The target was adults, and seasoned travelers, with an average age of 45 and an income of $250K+ who were looking for unique experiences. They have a keen interest in food, wine, arts, design, and fashion as well as looking for A customized and personalized experience. What needed to be communicated was a Luxury is a personal feel. This was key. A Park Hyatt delivers, and tailor-makes great hotel stays with a focus emphasizing that everyone is different and one personâ€™s view of luxury can be very different from someone else's. A Park Hyatt is understated luxury, elegance, and sophistication. Suunto Beta Tester for TestFlight app allows testers to install and beta test apps on iOS, tvOS and watchOS devices. Testers must receive an invite directly from a developer first before they can begin testing. Once invited, testers can redeem invitations in TestFlight to install, test, send valuable feedback, and get updates for the beta app. There are many varieties of wearables UX designers must consider that involves strategic placement on the human body like the chest, eyes, wrist, nose, or foot. Designers must also factor in the ever changing environment to focus on how this product may enhance the consumer’s activity. Wearable technology in UX involves hardware and software. Combining fashion with applied science that is comfortable yet beneficial is key. A major challenge is achieving comfort and function. In the wearables design process, it's important to consider material selections and other specifications. Adhesive materials are main factors of wearables, research and development on performance characteristics, analyzing biocompatibility and stress testing during the primary stages of product development. The experience of users will be essential since what's being talked about is a change to the fundamental human and computer interface. Humans currently interface with computers, game consoles, virtual reality, mobile devices, and tablets. Over the next decade, we will look at a shift towards other yet-to-be-designed instruments that will enable us to see the real world. As technology rapidly changes with AI (artificial intelligence) and data research, it will also give a direction for where the UI needs to be. The design strategy is the main factor in human responses to mobile apps, wearables, and websites. Finding visuals while applying the agile methodology and design theory will continue to be the focus of UI/UX (user interface/user experience). AR/VR (augmented reality/virtual reality), in all design stages from conceptual, prototyping, manufacturing, and branding, means that everything from engineering to marketing will be powered by the UI/UX platform. 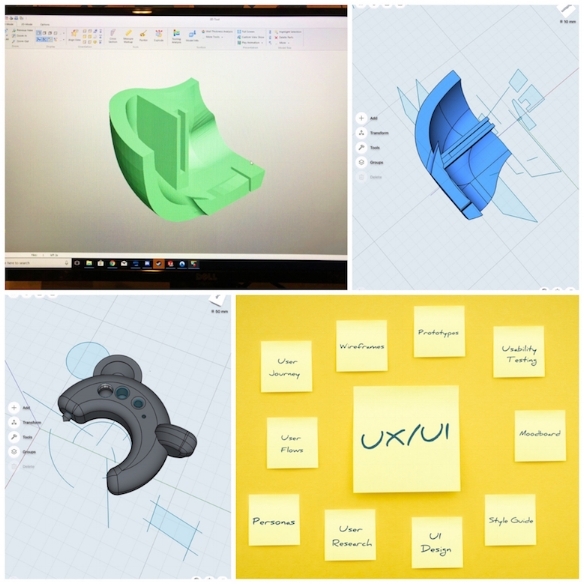 Over time, I have cross-trained myself from 3D modeling with such programs from Catia and Solidworks to Shapr3D in my early years as a design engineer going into the UI/UX platform, which has assisted me have a better grasp of the challenges I face today with the virtual reality platform. Yet, I realize that I am an exception knowing soon that there will be a shortage of designers who are capable of designing in AR/VR. Internet interfacing is not the same as working on other smart devices like mobile phones. This technology creates a whole set of new models for designers to contemplate and re-imagine. For example, UI/UX designers get to start conceptualizing what we have yet to consider. The IoT (Internet of things) in UI design means that the designers will be faced with specific challenges such as making functionality and UX optimal with the assistance of sensors. Another example is designing smart wearables and meeting UI's expectations. When it does indeed spread over every aspect of our daily lives in the way of lightweight, low-friction hardware, what will the fields of UX/UI look like then? What strategies will have the most substantial impact? We are only just beginning to talk about which tactics will stand the test of time. Hence, a conclusion for UX/UI in VR could be that successful efforts will be the ones that exhibit an up-close understanding of storytelling principles. This does not necessarily regard the deploying of a sequential narrative but the activation of the descriptive aspects of our minds with related information. A camera inset on a VR headset can notice where your hands are relative to the visual content and concerning how far the content is away from your head. Voice commands can also help control your graphics orientation and decision-making environment. Learning from what makes VR devices operational, we can use that engineering to revise fundamental guidelines for UI/UX design. Face identity is heading in the right direction, where even an expression can open an app or trigger a scroll up or down by merely nodding your head. In time, technology will be advanced enough to support face identities on smartwatches. Eye tracking or gazing has now played a factor. For instance, I'm in a meeting and can't really use my hands in front of my face, so providing input for a mobile phone means the ability to swipe, use finger pinching, or use voice. 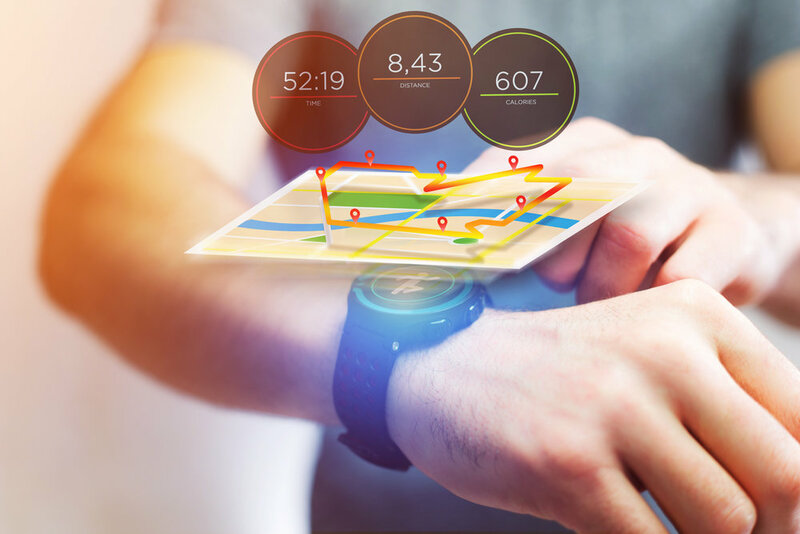 Common sense and UI are vital elements that constitute the liaison between wearables and mobile apps. It would be helpful to place frequently-accessed UI in comfortable-to-reach areas, including putting pieces in the center of the interface. 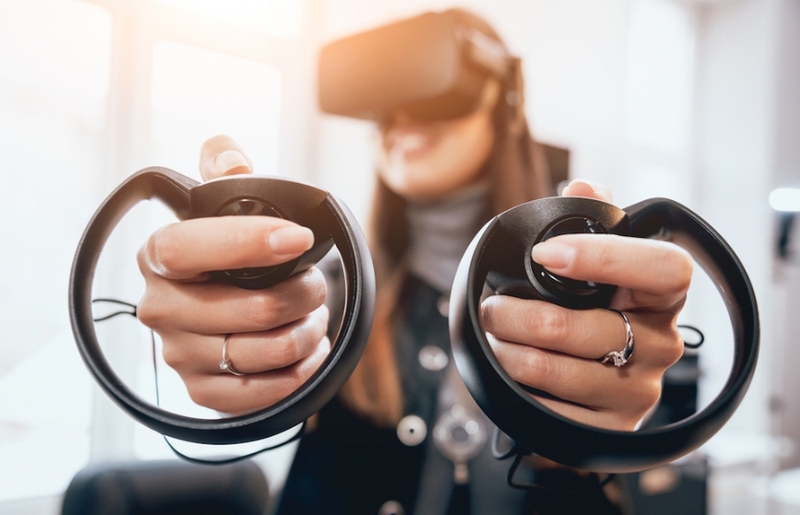 UI/UX must evolve to embark further into the virtual reality world while remaining competitive among other data collection and technology intelligence. I believe it will also become a part of things that are similar. Aerospace/defense simulations, meteorology, and even bioengineering will eventually need UI/UX to further advance data analyzation, research, and development that will not only benefit consumer satisfaction but also improve business logistics. MR (mixed reality) is where physical and digital objects co-exist and interact in real time, as it merges both the real and virtual worlds to create new environments and visualizations. UI/UX will help make every wearable innovation in the future user-friendly by embarking further into Virtual Reality.